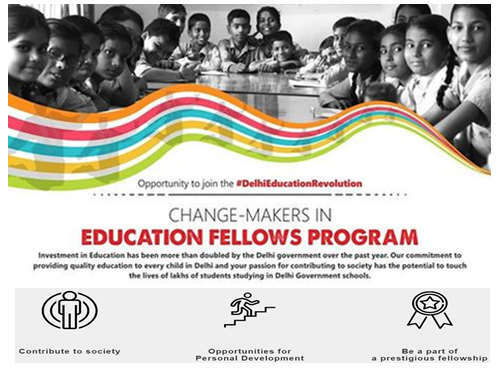 Changemakers in Education Fellowship (CMIE) is offered by the Department of Education, Delhi Government. The program covers the eight streams, and each of the streams requires fellows to work with a different set of stakeholders and a unique set of challenges. Fellows will be required to enhance the efficiency of stakeholders, address challenges and find meaningful solutions that are considerate and sustainable. This page gives the details on Changemakers in Education Fellowship which comprises the information related to programmes offered, eligibility criteria, rewards, etc. 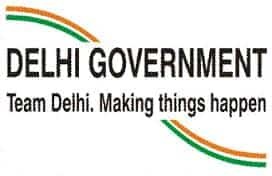 General Eligibility Criteria: The applicant applying for this programme should be the Indian citizen or persons with PIO/ OCI. The applicant with the Bachelor's degree and a minimum of two years of work experience in the social sector. Common qualification for Principal Leadership Development Programme, Mentor Teacher Programme, SCERT on-line platform for Learning (Content Development), School Management Committee and Learning Assessment- Preference would be given to those who have experience in curriculum or content creation for schools. The application process for the Changemakers in Education Fellowship has been started and the candidates can now apply online. The last date to apply for the Changemakers in Education Fellowship is 5 April 2017. The link to apply online is given below. The steps to fill the application form is given below. The candidates are suggested to follow the steps. The steps provided will help the candidates to fill the application form correctly and ignore the mistakes while filling the application form. The candidates are provided with the steps and the detail instructions to fill the application form. There are total 3 steps involved in filling the Changemakers in Education Fellowship. In this section, the candidates need to fill the details to complete the application form. The details filled by the candidates should be correct and accurate. After filling all the details correctly, the candidates should submit the application form. The candidates need to know that application should only be submitted once. The details of the filled in application form would not be changed after submission. Therefore, the candidates need to check the filled in details before the final submission.